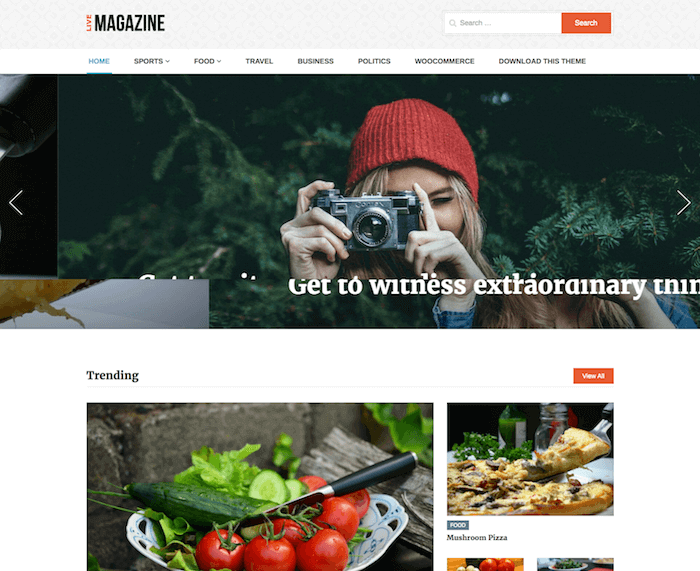 VMag is a fully responsive WordPress magazine theme designed for creating magazine websites, news sites, personal and business blogs. VMag features a beautiful and modern magazine layout. 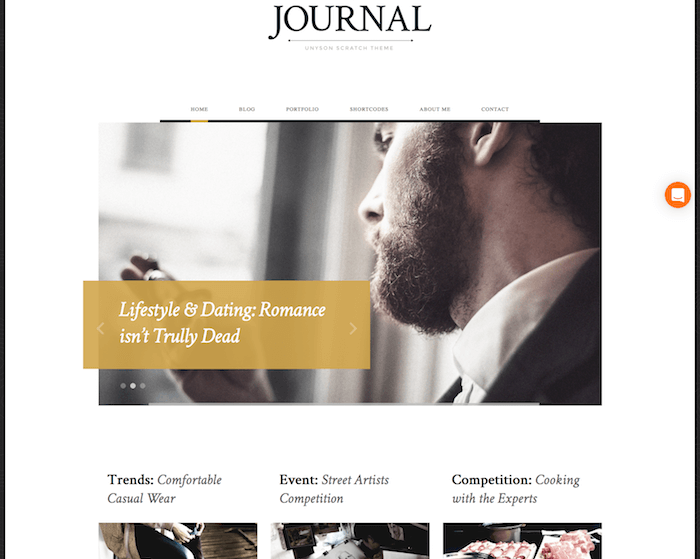 This theme is perfect for any type of news website or blog. Some of the focus sections of the homepage include recent news section, top slider, category-wise news, advertisements, social profiles, popular posts, editors’ pick, pictures of the day, trending, etc. The VMag customizer is easy to work with and thorough enough to allow you making unlimited changes in the design and layout of your website. 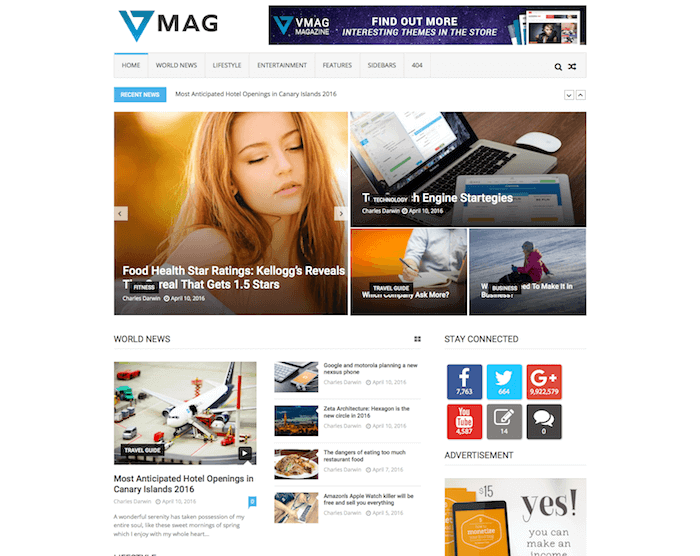 VMag theme’s beautiful design, attractive colors, and gorgeous style make it perfect for your next news website or blog. 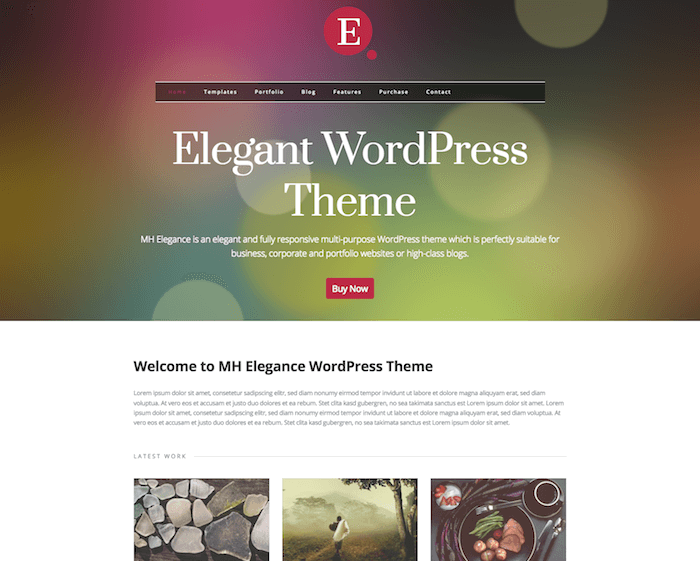 VMag WordPrss theme has been designed to feature a really beautiful, elegant and stylish layout that will definitely leave your website visitors in aww-struck. The theme even in its most basic state is able to make an everlasting impression on everyone who visits your website. It also offers unlimited number of design setting and customization options to make it suitable according to your specific website needs. Some notable design features include top slider, responsive layout, unique design for each section, multiple layout options, etc. A slider is the most basic and important thing of a magazine website. VMag theme is integrated with a lovely customizable slider that can hold various important news, articles, images, and videos of your website. There is also a News ticker section just above the slider that usually displays the headlines, latest news, and messages to keep your website visitors updated with ongoing activities and offers. Both these sections are fully customizable with the help of in-built WordPress Customizer. VMag theme contains some really nice widgets that can be enabled to add various sections and content blocks on the website. These widgets will help you creating unique designs for each category section of your news website. You can choose from grid layout, carousel block posts, column layout, featured slider, and other style options. VMag theme is ads ready and contains sections dedicated to display specific types of ads so that you can easily display advertisements on your news website to earn revenue.